A snapshot in time of the Town of Newburgh NY housing market is shown here. 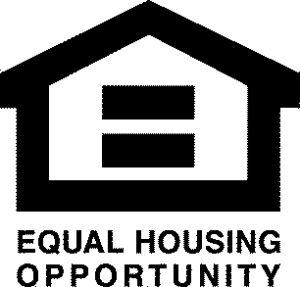 We are six months into 2014 and time for an update on the local housing market. The first part of 2014 saw quite a bit of cold weather and things slowed down over the winter as always. Spring brings does seem to bring out new listings each year and this spring sellers jumped on the effort to put their home on the market. Buyers are always happy as they have much more to choose from. These trends are consistent with previous yearly numbers. So what homes are for sale? 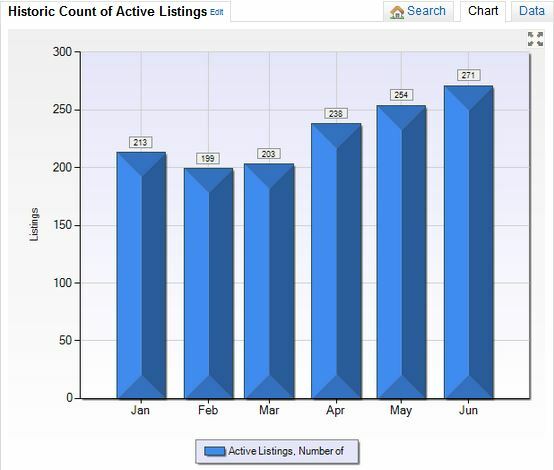 This chart shows the active number of listings over the last six months. Fluctuation occurs seasonally. Our current inventory of homes is at a 16.3 month supply indicating that we remain in a sellers market. When inventory is up buyers have a good deal more to choose from. The competition to sell a home increases and pricing either remains consistent or is dropped. Sellers be aware that your home needs stand out from the rest. Pricing a home properly is what it takes to sell. Condition drastically affects the outcome of offers. Making sure the home is ready for sale can make all the difference in how fast a home is viewed and sold. The first few weeks a home is on the market are the most important. Understanding what has sold and what the competition is can help guide the listing price. Putting a home on the market ready to sell and priced properly is key to getting the highest and best offer the local market will bear. There are 44 homes currently under contract – two went under contract in June. In June the Town of Newburgh had 22 properties transfer title to sold status. In the last twelve months there were 202 closed sales with an average sold price of $230,022 spending an average of 137 days on the market. The majority of our inventory sold between $200K and $300K. 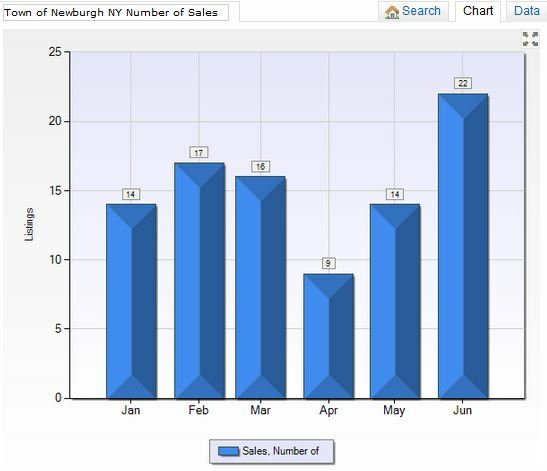 The Town of Newburgh NY home absorption rate is at a 16.3 month supply. When I work with buyers the common trend on their wish list is to find a new home that speaks to value. 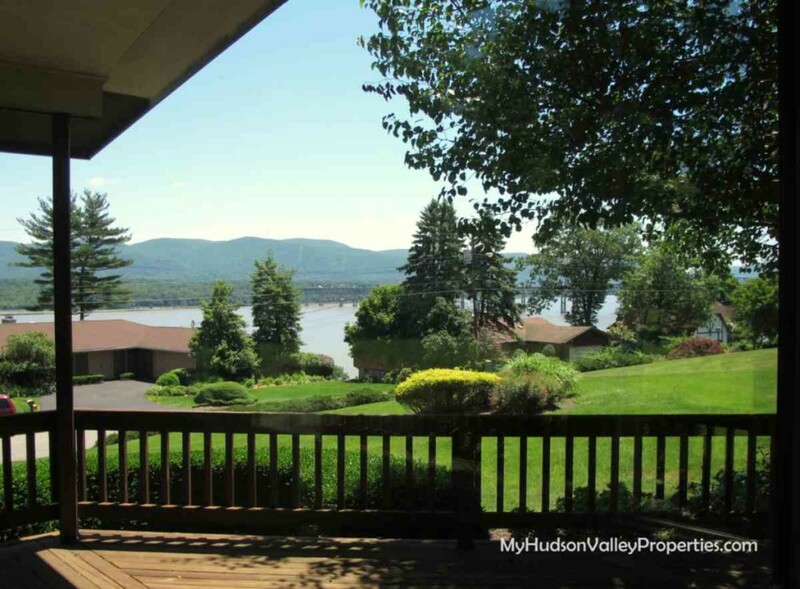 They don’t want to just fall in love with a home, they want one that works for their individual needs.Who is shopping for a home in the Town of Newburgh? Buyers that are smart enough to recognize value when they see it. Gone are the days of shopping for a McMansion. 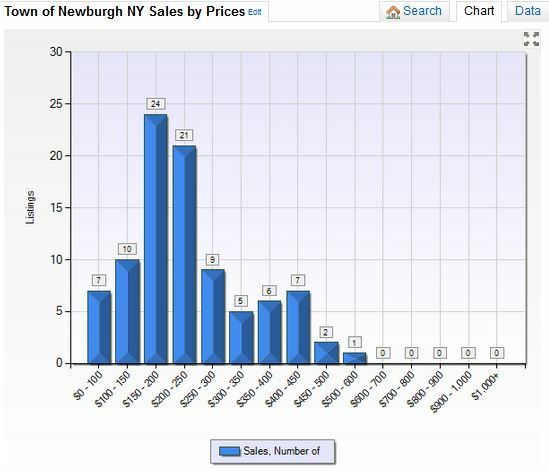 Homes priced in the $200 to $300K are what is selling in the Town of Newburgh NY. Believe it or not, this includes some brand new construction homes too. Knowing the homes that are selling in your neighborhood is important factor when making personal decisions about a home and your financial future. Never assume what you see online from the big companies about the value of your home. Computer generated numbers don’t portray the real picture of the local market. Finding out what the true sale price is takes a bit more research than just a Google search. We can provide that information and more for you with our FREE comparative market analysis.